Arc Energy Resources Ltd, based in Eastington, Gloucestershire, has a raft of accreditations across a number of industry sectors that bear testament to their aim of providing quality and excellence of work produced and customer service. The company is proud to be approved as a Tier 1 Supplier to Rolls Royce for welding, whose brand is synonymous with engineering excellence. As part of the approval process, Arc Energy undertook an extensive series of audits assessing them in terms of their quality systems, manufacturing and technical capability, financial stability, cleanliness and ability to deliver on time, for the right price. A dedicated clean room was created, housing Arc Energy’s recent investments in CNC robotic welding. 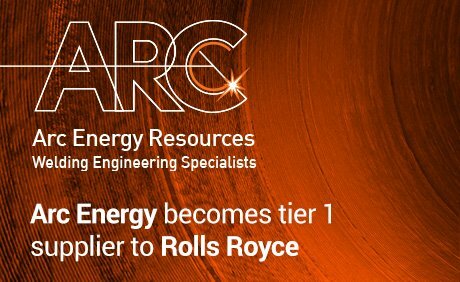 Quality and innovation have always been the bedrock of success for Arc Energy and this accolade will give them further kudos for their work in the marine sector, giving their highly skilled team access to even more opportunities requiring specialist welding technologies for deep sea and high pressure environments.